Posted on May 23, 2012 by Michelle M.
This entry was posted in Did you know...? 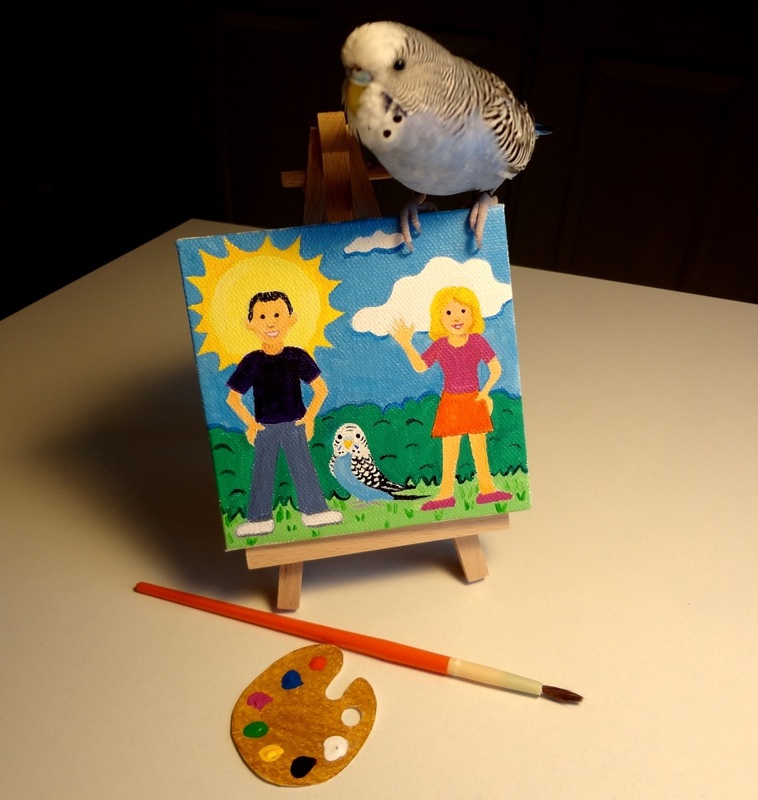 and tagged artist, budgie, Cooper, Did you know?, masterpiece, paint, parakeet by Michelle M.. Bookmark the permalink. That’s an awesome painting. The giant Cooper is a bit scary though. Perhaps, she looks a bit too close to her dinosaur ancestors. Cooper thinks she’s bigger than she really is. And she apparently thinks Harry is Jesus. Damn, that is one talented bird. Michelle’s head is in the clouds … Harry’s is on fire!